Spend Christmas in a brand new home in Axminster! Fancy a brand new home for Christmas? 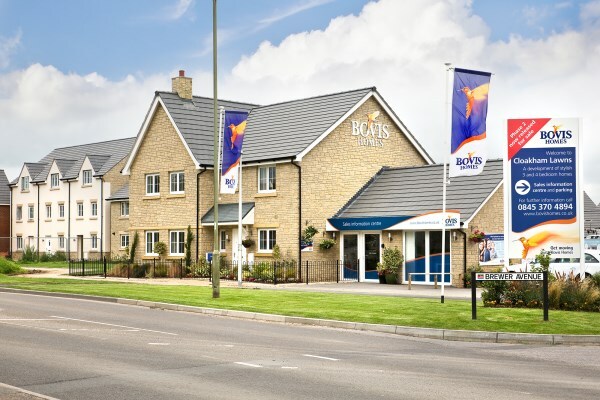 The latest stunning Bovis Homes properties at Cloakham Lawns, Axminster are proving a big hit with buyers - and there's still time to get in before Santa comes calling! With most of the first phase now sold out and occupied, this lovely location is really taking shape, and will be making great strides in 2016. "The mix of two to five bedroom homes is attracting a wide range of buyers," said Sales Advisor Sarah Tricker. "However, we do still have a handful of homes which will be ready for a December completion and will allow savvy purchasers to make the most of 2015 prices. "We have lots of happy customers who purchased on our first phase and it's exciting to see Cloakham Lawns take shape. The fusion of the more traditional, brick and stone-built homes with more contemporary render and cladded homes is really eye-catching, but what our customers are most impressed by is our high specification - fitted kitchen appliances, porcelenosa ceramic flooring to bathrooms and our stylish wall-hung sanitary-ware are just a few of the items fitted as standard when purchasing a Bovis Home here. "If you are worried that you won't be able to sell your old house, with our popular Home Exchange scheme we could be your buyer, and ensure you are settled in your new home for Christmas. We offer 100% of the local market value and can even organise reliable removals to pack you up, move you in and organise your new home." For more information call Sarah at Cloakham Lawns on 01297 795164 or visit our sales office, open daily from 10am to 5pm.